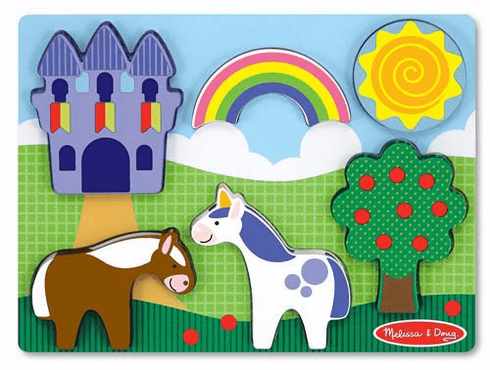 Explore a magical landscape with the six extra-thick pieces of this charming wooden puzzle. Peek beneath the puzzle pieces to see the matching pictures. A sky full of sunshine and a rainbow will cheer any day of play!